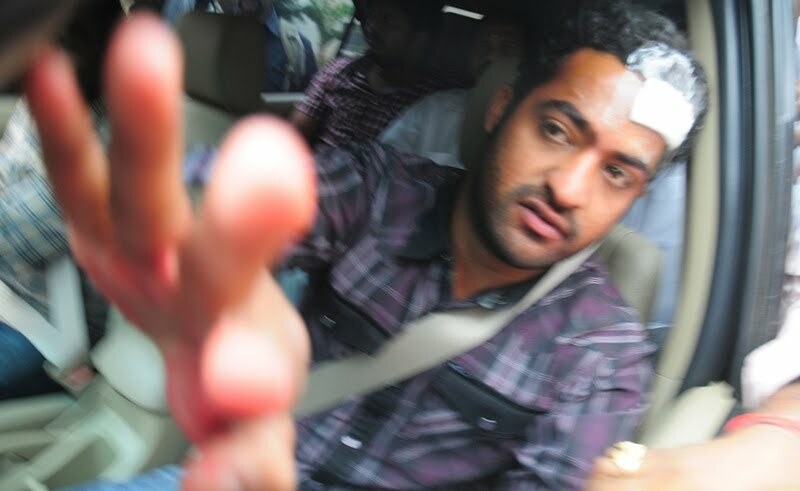 NTR injured during the shooting of climax sequences for his latest film, Brindavanam, this morning (Friday, August 13, 2010). He was immediately rushed to KIMS hospital in Secunderabad. He cut in the eyebrow while performing action stunts. And two stitches are done. 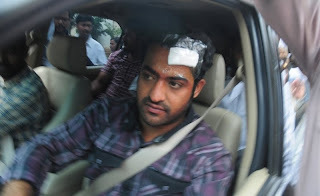 Accident happened when he was performing a rope stunt with our dupe at a stone quarry near Hyderabad. 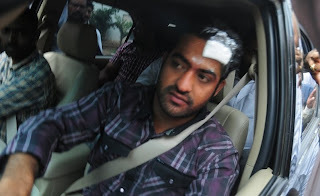 after that he was immediately rushed to KIMS hyd, Doctors examined and clarified nothing to worry its a minor accident,he got stitches to his forehead. 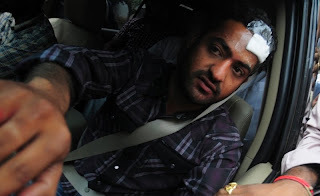 0 Response to "JR.NTR Injured on the Sets of Brindavanam Photos"